This item is sold on their website for $19.95 USD. All of the following cookies are soft-baked and have a moist and chewy texture. 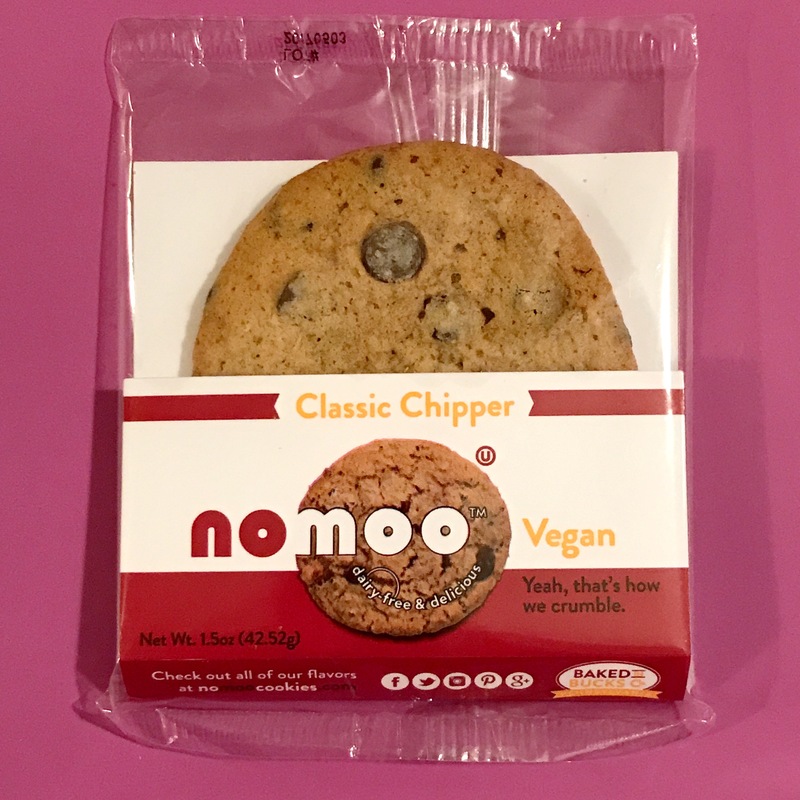 The Classic Chipper is exactly that… a vegan version of the classic chocolate chip cookie. This soft and sweet treat is made with dark brown sugar and vanilla bean paste which would be good enough on its own. Throw in some Belgian dark chocolate chips and you have a winner that will please even the pickiest of eaters! Oh, I was so excited to try this Chocolate Chills flavor out! I absolutely love mint and this cookie didn’t disappoint! Rich, dark cocoa and chocolate chips are brightened up with the perfect balance of sweet mint flavor. Think of a York Peppermint Patty, but you know, without all of the yucky stuff. Two thumbs up! Next up, was Sugah Cinnayum flavor. Sorry, ladies and gentlebeans, I got too excited and ate this one before taking a picture. Close your eyes and picture a big, vegan Snickerdoodle with the perfect soft- baked texture, sweetness, and flavorful but not too overwhelming amount of cinnamon. Holy Moly, this might just be my new favorite! 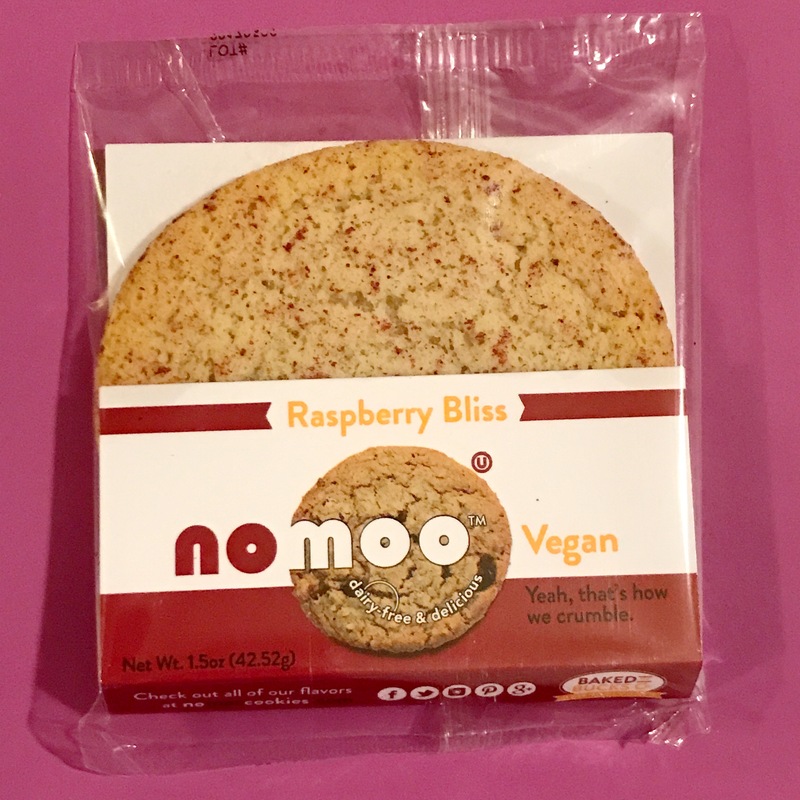 The Raspberry Bliss cookie shocked me! I was thinking that I would get a mouthful of artificial fruit flavor, but no! This tasted like a buttery, vanilla sugar cookie with bright and tangy raspberries on top! My boyfriend (a non-vegan) said it tasted like candy and he is correct! Watch out… here’s another contender for my #1 pick! I think they may have incorrectly named this one! To me, it looks, smells, and tastes like some of the best brownies I’ve had! You know, where the brownies bake to be chewy and fabulous in the corner of the pan? Yup, that’s Loco For Cocoa. Then, to mix it up, they added Maldon sea salt flakes on top which enhances the overall sweetness and added a contrast of flavor (think vegan salted caramel). This is basically a chocoholics dream. 10 out of 10 stars! Honestly, I didn’t think I would like the Citrus Appeal flavor, but I was happily mistaken. The buttery dough is topped with a light, sweet almond glaze (so good!). Candied orange peel provides a fresh and bright pop of citrus creating the perfect blend of flavors. I may not have gravitated towards this one if I saw it in the store, but I would have definitely missed out. Watch out, here’s yet another contender for my new favorite! Who doesn’t like a good sugar cookie? I mean, they’re sweet, soft, chewy and delicious. 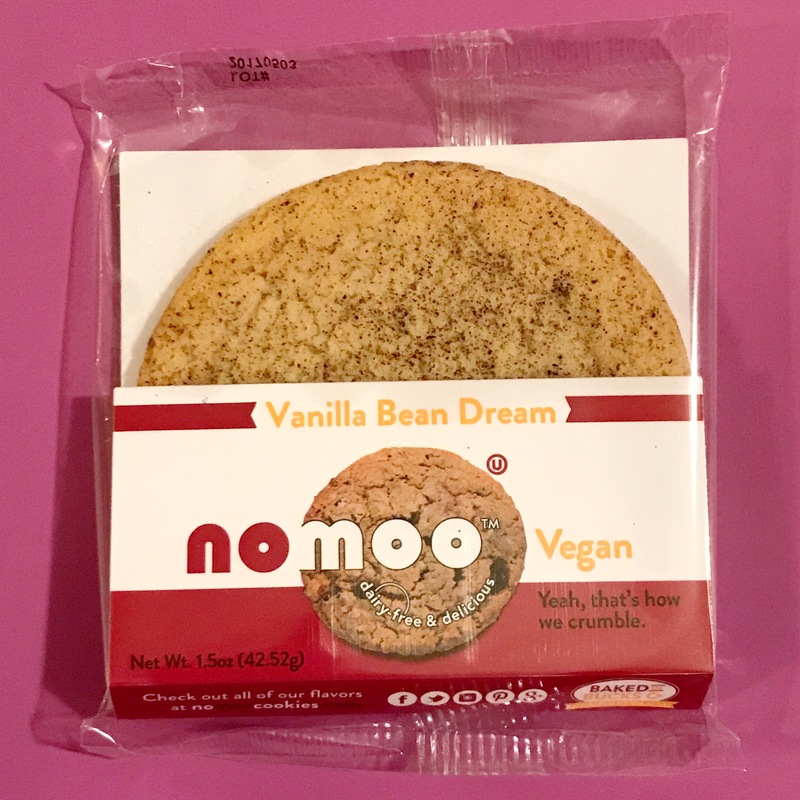 Nomoo did this and more with Vanilla Bean Dream by amping up the vanilla flavor with bourbon vanilla bean and vanilla bean paste. Genius. Oh, the almost always underrated and/or overlooked oatmeal cookie. 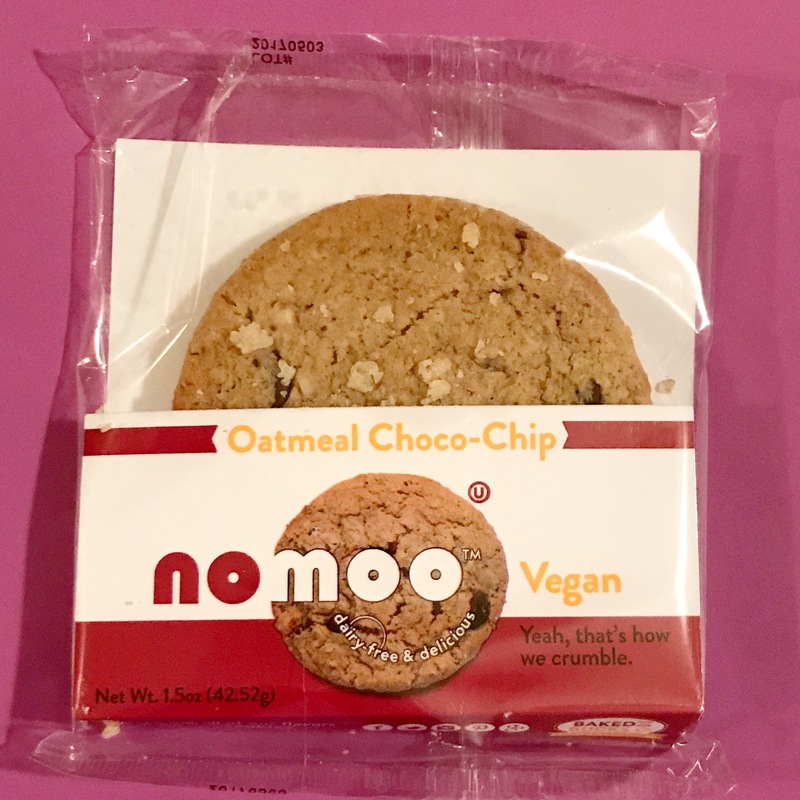 The Oatmeal Choco-Chip variety is perhaps the most “healthy” tasting member of the Vegan Delectable Dozen. It is thicker and drier than the rest of the bunch and contains hearty oats which is why it smells like a big, hot bowl of oatmeal. Dark chocolate chips add sweetness and orange zest lightens and brightens. I’ve heard tales (cough, cough) of “healthy” vegans… I believe this is the cookie for them! These cookies are seriously amazing. Nomoo absolutely mastered the perfect soft-baked cookie. In the future, I won’t be able to eat anther cookie without comparing it to these delicious bad boys. 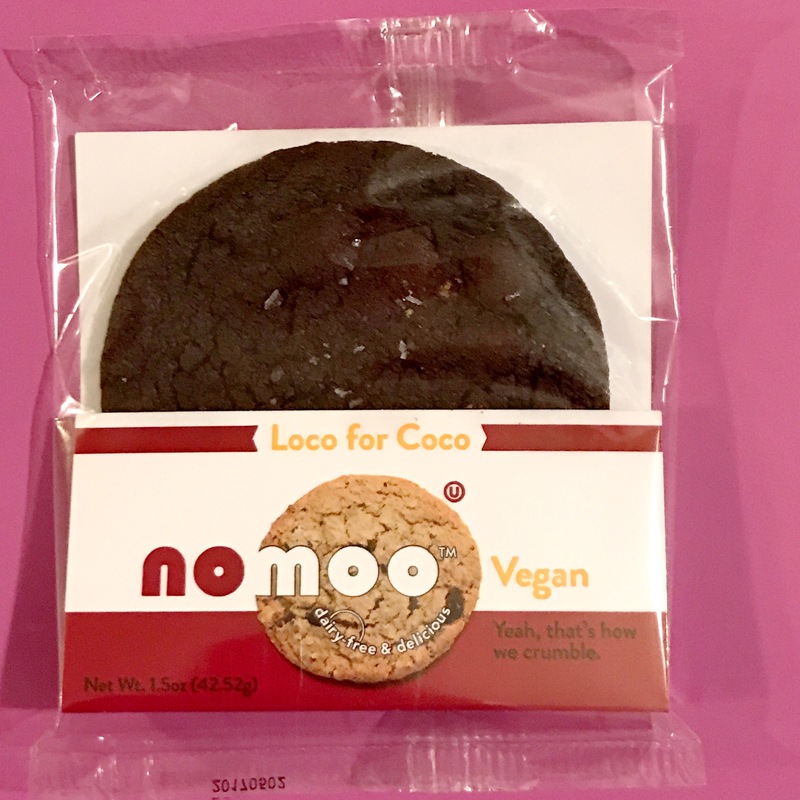 Just to make sure I wasn’t biased (I’ve had some badddd cookies in the past and was really rooting for this company), I gave the Classic Chipper, Loco for Cocoa, and Vanilla Bean Dream to three of my not-even-close-to-vegan friends. All three agreed that these cookies are fantastic. They gave them a perfect score and/or looked up where to buy them. Hooray for proving vegan food is better than “traditional” food! 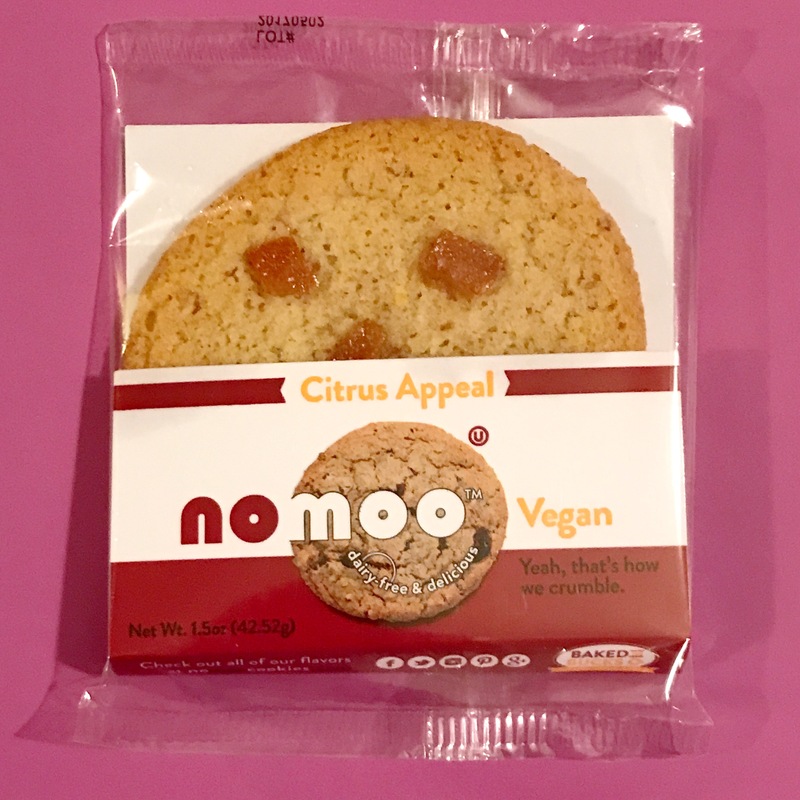 I can’t say enough good things about these cookies… and I’ve used the word “cookie” far too many times in this review so I’m just going to say trust me and give them a try! You won’t regret it! 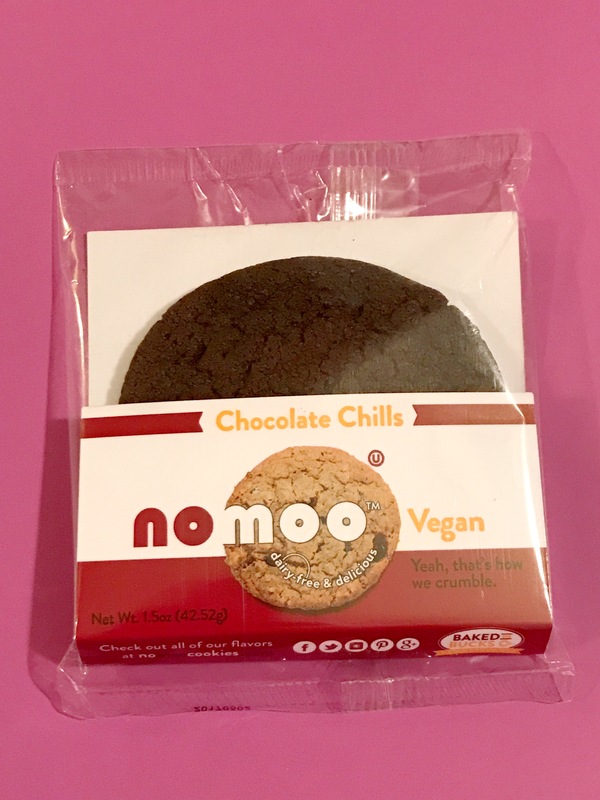 Thank you, Nomoo Cookies, for providing me with these amazing cookies to review!